In this lovely book, prayer is presented to children as a heart-to-heart talk with God: to be with him, to speak to him, and to listen to him. As a child does with a loving father. 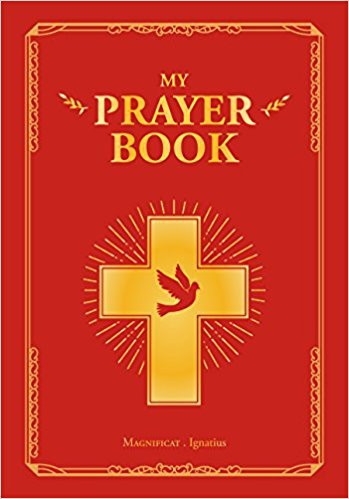 It introduces to children the reasons for prayer, how to pray, where and when to pray, and then offers many different prayers for all occasions and church seasons. It shows children how we can tell God everything: our joys, our sorrows, our love, our gratitude, our trust, our needs, and even our weaknesses. And why we all need to communicate with God, to pray every day, for ourselves, and for others. To help children in their daily prayers and to learn a love for prayer, My Prayer Book brings together many of the great prayers of the Church, prayers for the whole liturgical year and seasons, prayers for every day, and prayers to love Jesus. A must have prayer book for all Catholic children!